Best Dee, Is a young talented and visionary musician, and also a music performer. 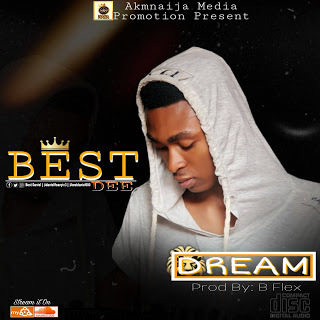 Best Dee Come up with a new vibe titled: Dream. He is unsigned to any record label at the moment, and is willing to contribute massively to the growth of the entertainment industry in Africa, and the entire world. The hit was produced by B Flex.